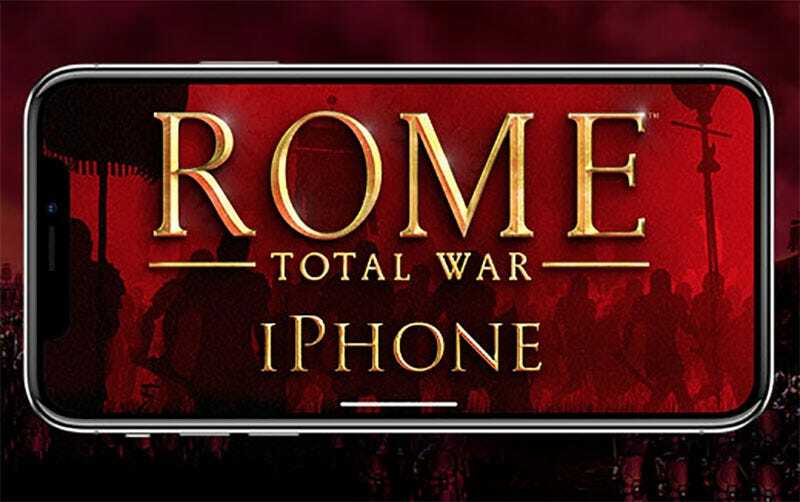 Total War: Rome is already out on iPad, but in early 2018 it’s coming to iPhone as well. Total War: Rome is already out on iPad, but in early 2018 it’s coming to iPhone as well. It’ll cost $10. Hope you’ve got a long commute.